WICHITA — A Riley County High School alum was recently named the 2019 Journalist of the Year by Kansas Collegiate Media. Lindsey Temaat, managing editor of Allen Community College’s student newspaper The Allen Flame won the award in the two-year division Monday at the KCM Spring Conference in Wichita. Temaat competed against applicants from other Kansas two-year institutions. The application process included letters of recommendation from advisers and college administrators, a personal essay and writing samples. The Allen Flame Staff attended the conference for the first time in the school’s history this year. Prior to attending Allen Community College, Temaat graduated from Riley County High School. There, Temaat served as editor of The Talon and also wrote for The Riley Countian Newspaper. During her freshman year at Allen, Temaat completed a year-long communications internship at Thrive Allen County, a non-profit organization in Iola. 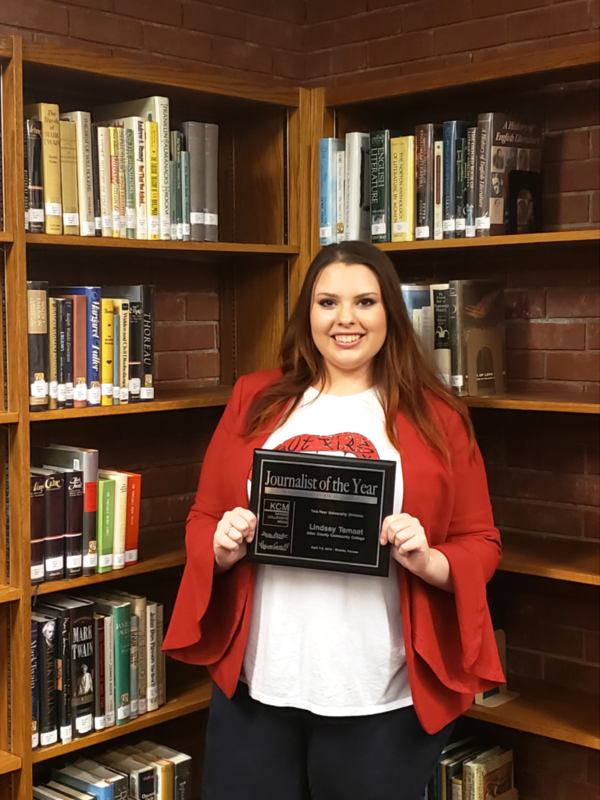 The post Riley County native named Journalist of the Year by Kansas Collegiate Media appeared first on News Radio KMAN.